Sun, surf, sand… and food. We at the G&G have been so busy in Brisbane downing martinis and devouring tacos (it’s a hard job, but someone has to do it), that we occasionally overlook the mouthwatering mecca that has arisen on the Gold Coast. If it’s in been a while since you’ve ventuerd south, grab our tips and grab your suitcase. One thing’s for sure: the GC has gone gourmet. We don’t mean to play favourites, but we can’t help it when it comes to QT Gold Coast. Away from the chaos of Cavill and oozing old school Miami charm, the QT is a definite vacay cutie. From sweeping sea views to sipping cocktails at the swim up bar, this joint will have your staycation made before you can even grab one of the cruiser bikes for your own cruise beachside (and let’s be real, you may not even leave this joint once you check out the bars and dining inside). They say buffet, we say challenge accepted. This is one hotel brekkie buffet that you’ll want to get around. From smoothie stations to raw bars, to perfectly roasted coffee and a pastry section that will have you stuffing your handbag with croissants (surely it’s not just us? ), Bazaar also offers a United Nations of international eats. Never tried congee? Now’s your chance. The struggle is real when you love food, but gotta keep that bod beach ready (but let’s be real, food always wins). 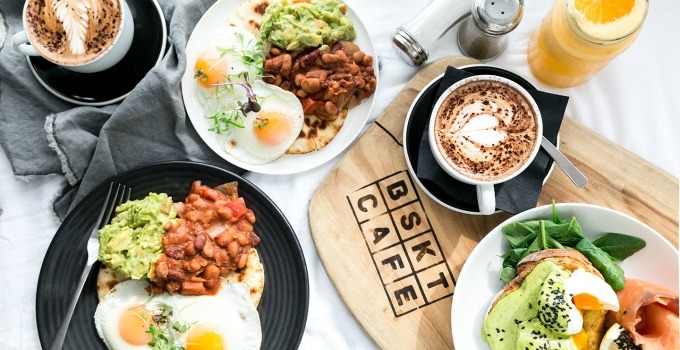 Well luckily BSKT Café is making it easy, thanks to their super healthy and satisfying breakfast menu. Delving into their succulent Navajo Native Breakfast or Healthy Benny is sure to give your morning that healthy kickstart it craves. Get there early or get ready to wait. This beautifully rustic bakery is a must-visit – and the crowds know it. At the paddock, enjoy stable brekkie items like the Bacon & Egg Roll and Acai Bowl, or put those out to pasture in preference for their super scrumptious Purple Toast, which is roasted sourdough toasted coated with beetroot, Za’atar puree, lemon juice, and pistachios. If you plan to shop til you drop at Gold Coast’s mammoth Pacific Fair, extend your willpower by heading over to Rivea for the perfect pick-me-up! This Italiano hideaway has dishes worth ogling over, especially their prawn and lobster agnolotti complete with delectable lemon butter sauce. A perennial favourite, we’ve been known to drive to the Gold Coast purely for the bug rolls. And the fresh crab & prawn dumplings. And irresistible shucked oysters. And zesty Tikishore cocktails. Rick Shores brilliant Pan-Asian flavours will have coming back to the Gold Coast again and again! Consider yourself warned folks, you’ll be rick-rolling out the door. Can’t decide what your vibe is? 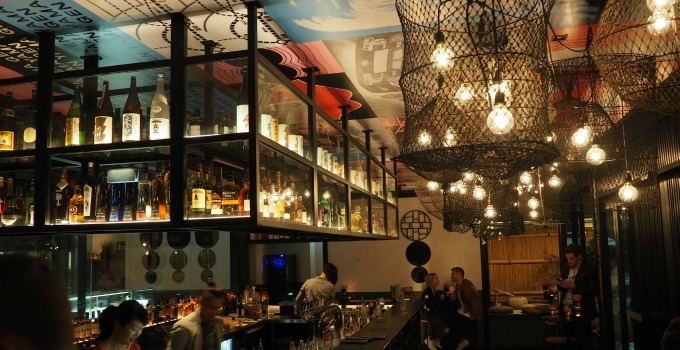 With five restaurants offering five different cuisines under the one roof, The Collective knows what’s up – and won’t even make you order separately to get your tacos, pizza and bao buns on the same table. Just take a seat in their airy, fairy lit dining area or rooftop terrace and you can start with Greek souvlaki, move onto southern fried chicken and slaw and finish with Nutella pizza if you so wish. Pork belly nuggets anyone? Read more about The Collective! After undergoing a super fab refurbishment, Yamagen is back again with not only some of the best Japanese cuisine, but an izakaya bar as well! This Tokyo-inspired hotspot is loved for its kushiyaki-grilled dishes, especially the wagyu and kobe dressed in wasabi butter and crispy garlic. So sashimi yourself over here for a heavenly dinner after a day on the beach, or for a late-night Dragon Ball cocktail. Read more about Yamagen! If you like your food like your waves – swimmingly good – then you’ll love The Fish House. 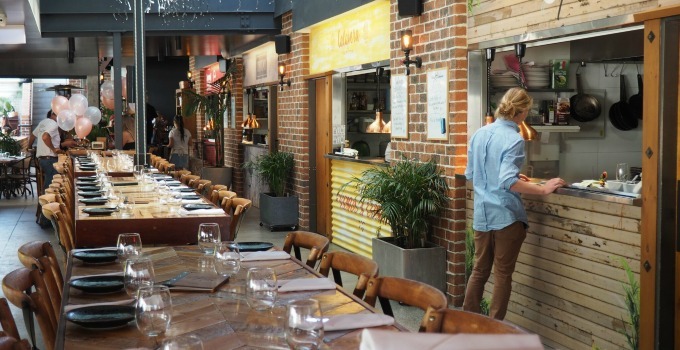 Trendier than your average fish and chip shop, this stunning upscale beachfront restaurant will have you swooning over their European-style Blue Swimmer Crab Risotto and John Dory Eden – as well as the impressive wine list. Keeping it cool and quirky is Justin Lane which combined the best of both worlds by putting a pizzeria on a rooftop bar (ingenious!). Head early and nibbled on their buffalo mozzarella pizza, or creamy potato gnocchi from the pasta bar, and then dance the night away while drinking their wood beers or house made ciders. Don’t shy away from Hideaway Kitchen & Bar. This hidden gem of a bistro not only serves some killer beers and taps (hello asahi and Sapporo) but also an awesome ‘street feast’ where you sample street food from all over Asia! Japan, Thailand, Indonesia and Singapore; who knew that a trip to the Gold Coast could end up being so much more! When the clock strikes beer o-clock, head over to Black Hops Brewing. Sporting laid back vibes with damn good beer, try a few from the core range, like the Australian Saison and Eggnog Stout, but save room for some of the seasonals – if your weekend away is sucking, the White IPA alone will save it. Say aloha to Aloha! This tiki-inspired bar creates infectious island vibes with their fruity Mr Bombastic and Pacific Ally cocktails. Even better, those who get a little hangry as the night goes on can rejoice over Aloha’s late-night edamame and lamb short ribs snacks. It’s time to get lei’d. Burleigh’s grungy new dive bar is the perfect place to kick back a few. 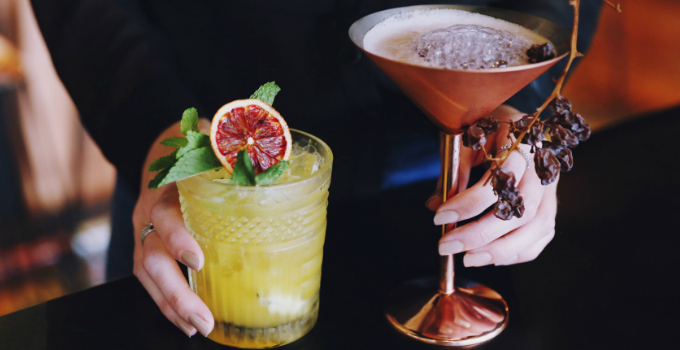 Find it tucked away in Justin Lane, and tuck into classic cocktails, whisky and beer – with live music Thursday-Sunday. With cocktails like this, how could you not? Our southern neighbour has certainly raised the bar on a gourmet getaway. You ready? We’ll sea you there!